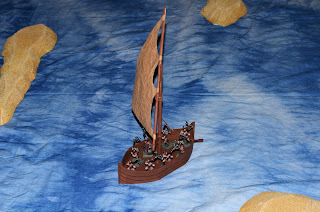 Nate Miller's Tabletop Games: Small sailboat WIP. I've got the Sailboat mostly finished. I still have to finish painting it but I've got it far enough along to use in the game today. Great stuff here. I'm a big "build it on the cheap fan myself. You can see my work at Deviant Art by doing a search for qzbk and also at my own website. 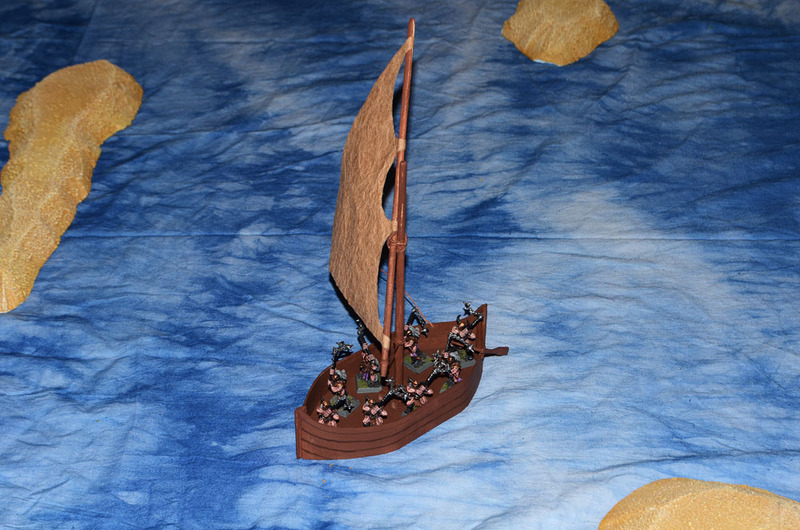 More miniatures for Hyborian campaign.